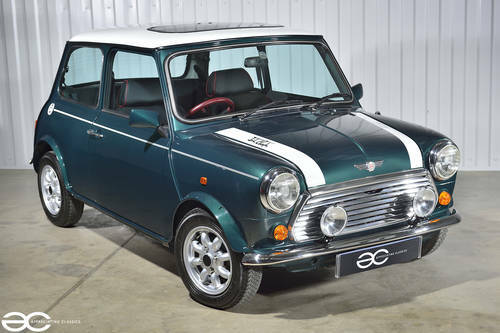 Here we are offering a stunning Mini Cooper RSP with just 302 miles from new! 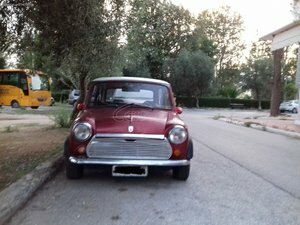 The Mini RSP is a limited edition, RSP standing for Rover Special Production. 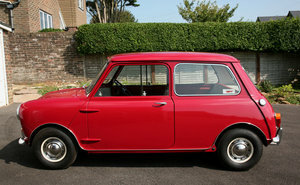 Only 1,050 examples of the Cooper RSP were produced for Britain, with a total 1,650 worldwide. 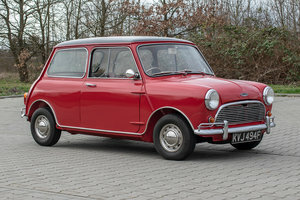 The Cooper RSP was the special edition, relaunch of the Cooper which had been absent since the 1960s. 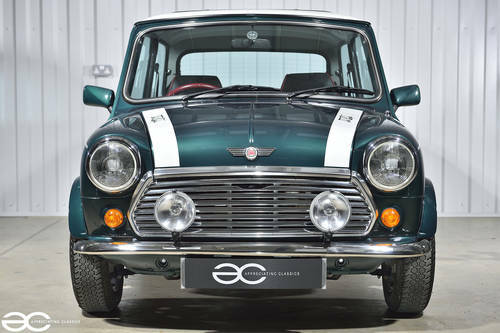 Having many special features (as detailed through the listing), the Cooper RSP became an instant success and is one of the most collectible Mini’s of the period. With only 302 miles from new, and being in stunning original condition throughout, this is a fantastic opportunity to own a piece of british motoring history, which will prove to be a great investment in years to come. Very low mileage RSPs are commanding over £20,000.00 and sometimes as much as £25,000.00, so this example is priced to sell. Purchased new, 16th of August 1990 by Westover Motors. This example retains the original purchase invoice, along with spare keys which still have the key code tags and original dealer keyring of course. All original booklets are presented with the vehicle as you would expect as well. The 1st service voucher is still present, along with the original supplying dealer tax disc holder. The original owner kept the car for a remarkable 26 years, before he sold the vehicle on to the second owner on the 18th of June 2016. With only one previous owner, and only 302 miles from new, this is a very special example indeed. 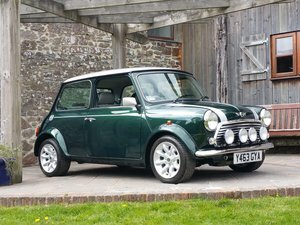 Finished in the definitive colour of British Racing Green, (colour code RWV), this Mini is visually fantastic, with the contrasting white stripes & white roof really helping to set off the paintwork. The paintwork is 100% original throughout the vehicle, as we have checked the entire car with a paint depth gauge. So you can rest assured, the car has had no bodywork repairs within its lifetime. Damage free, and without any dents or marks, this Mini presents beautifully, just as it should do. Being totally original, the car retains all the correct and original badges and decals, along with the original glass throughout, which is again unmarked. The original wheels are still fitted, along with the original tyres. 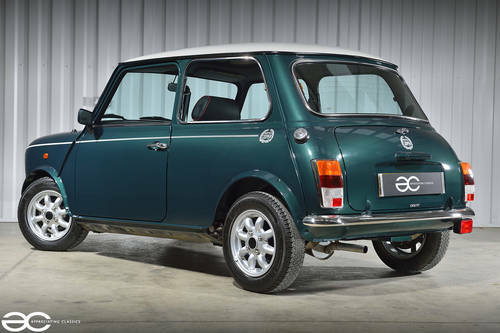 A stunning little Mini RSP, which will steal the heart of any Mini fan. As per the exterior, the interior is totally original, and in stunning order. 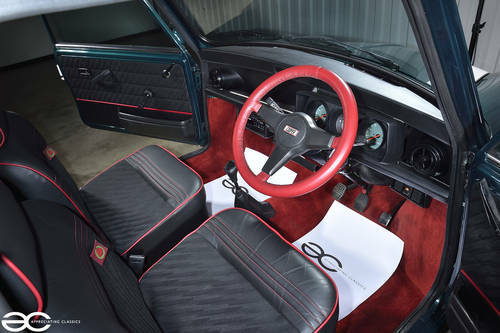 Beside the condition, this is a great looking interior, with the RSP specific red rimmed steering wheel (unmarked of course), and the seats which look fantastic with the matching red stitching and piping. The seats are simply as new, with no signs of any wear. Red carpets are again in superb condition, with no holes or rips, it still looks very fresh and vibrant throughout. The original Philips stereo is still fitted, as is the original gearknob. Simply totally original, and in great order. The original sunroof (all RSP models had a sunroof fitted) is still original, with the correct original markings and decal on the sunroof winder. 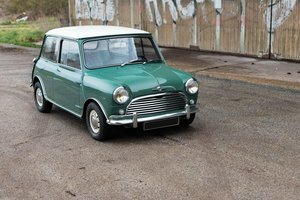 With the Mini Cooper RSP being the rebirth of the Mini Cooper, they had to fit an engine that would make it the stand out Mini. 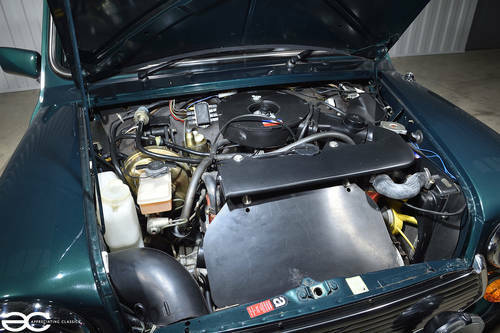 The 1275cc engine was fitted, making the Mini Cooper RSP the fastest accelerating car of its class at the time. The car of course runs perfectly, starting with ease and running smoothly from cold. The engine bay itself presents very well, as of course you would expect from a car of this mileage and condition. All running gear is in superb condition, and everything operates as intended. The gearbox operates nicely, with a smooth and precise gearchange. Brakes again, operate very well and pull nice and true. The original wheels are still fitted along with the original tyres. A fantastic addition to any car collection, with this being what we refer to as, a top of the tree example.